Ikea is shuttering the Russian edition of Ikea Family Live, its popular online home and lifestyle magazine, for fear of violating the country’s anti-gay propaganda that criminalizes the production of images showing LGBT lifestyles in a positive light. 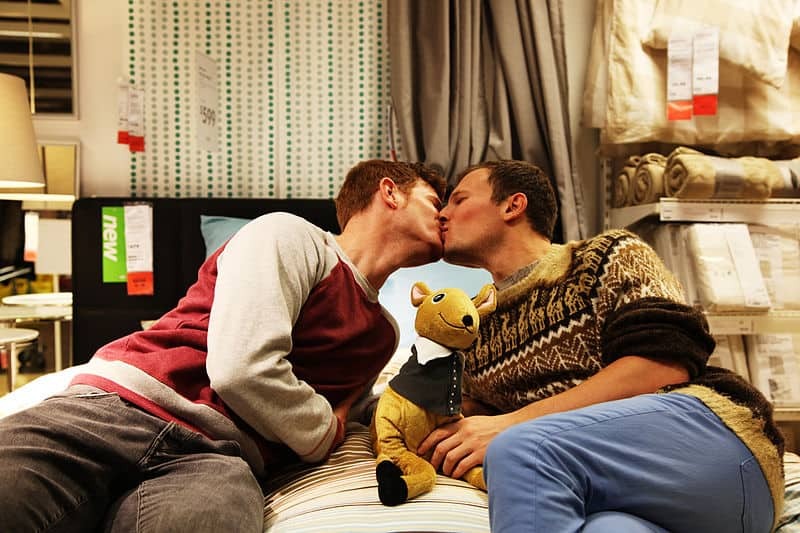 While Ikea has been clear that its is still very much an ardent supporter of its gay customers’ rights, the company could be slapped with financial penalties or a three-month long cease-and-desist for the continued production of a Russian language version of the magazine. Ikea first dealt with Russian censorship back in 2013 when the furniture giant chose to to edit an interview with an English lesbian couple out of the magazine under similar circumstances. At the time Ikea representatives cited their desire to operate in accordance with local laws. This time around however, the company’s decided to pull the plug entirely rather than capitulate. Ikea Family Live will continue to be published in other languages.